All homes currently listed for sale in the zip code 90064 as of 04/18/2019 are shown below. You can change the search criteria at any time by pressing the 'Change Search' button below. "Brand new construction in the coveted Cheviot Hills Country Club Estates. One of the last grand scale estates to be approved before building codes changed, this 7,858 SqFt three-level home has an open floor plan loaded with natural light! Soaring vaulted entryway with six bedroom suites, eight bathrooms, gym, movie theater, lounge, game room, study, formal living/dining, mud room, and two family rooms. The lower level enjoys natural light from a patio & stairs leading to the secluded backyard. A luxurious master suite with an oversized deck, dual walk-in closets, and a spa-like bathroom. The bright, spacious kitchen is equipped with Wolf/Subzero appliances, large island, double dishwashers and nook all connected to the family room, which opens to an expansive backyard with a built-in fire pit/seating, outdoor BBQ, and covered patio to entertain, next to a sprawling lawn. Enjoy this lovingly-crafted home in one of Los Angeles' most premier neighborhoods, moments to the City." "Welcome home to an updated classic in Cheviot Hills. Built in 1937, this stunning 5BD/5BA w den home has been completely restored to meet today's needs. An entertainer's dream, the home has a natural flow: grand entrance w elegant stairway, gracious living room w wood-burning fireplace, formal dining room that seats 16, and expansive family room that opens to a large veranda and solar-heated, saline pool to take advantage of 72 & Sunny. Masterful finishes and peg & groove floors abound while a gourmet kitchen w Carrera marble counters and Viking, Wolf and Bosch appliances and maid's quarters with bath round out the first floor. Upstairs, find 4 bedrooms and 4 baths including a large master suite complete with huge walk-in closet and deck that overlooks the pool and treetop views for morning coffee. Walking distance to both Cheviot Hills Golf Course and the Griffin Club while world-class shopping and entertainment are a short drive away in BH/Century City." 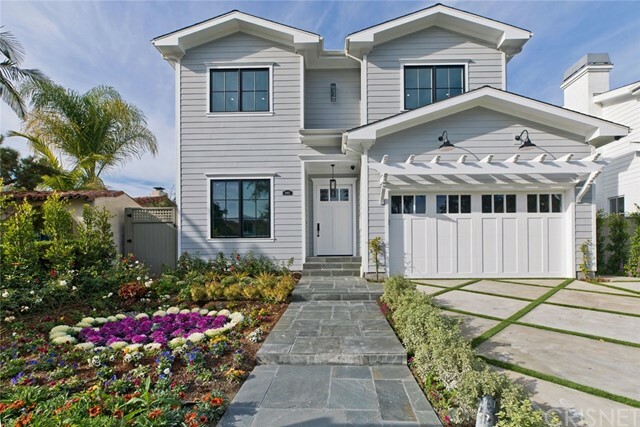 "Basked in warmth and light in this brand new construction in Cheviot Hills. Formal living & dining rooms for elegant entertaining. Gourmet center-isle kitchen combining elements of wood, brass and marble with the highest quality appliances + breakfast area open to great room with fireplace. Outside you'll find a totally private, peaceful space that includes swimming pool and built in barbeque. Upstairs features a second family/media room and 4 en suite bedrooms. The front rooms have such an astounding view that spans so far west, it starts by overlooking the vast grounds of the Griffin Club and continues all the way as far as Marina del Rey. The ultra private master bedroom suite has a romantic fireplace, enormous walk-in closet, spa-like bathroom and offers a pleasing view of the pool and backyard below. Conveniently located in the heart of Cheviot Hills in the award winning Castle Heights Elementary School district, this home isn't just Smart but pretty, too!" 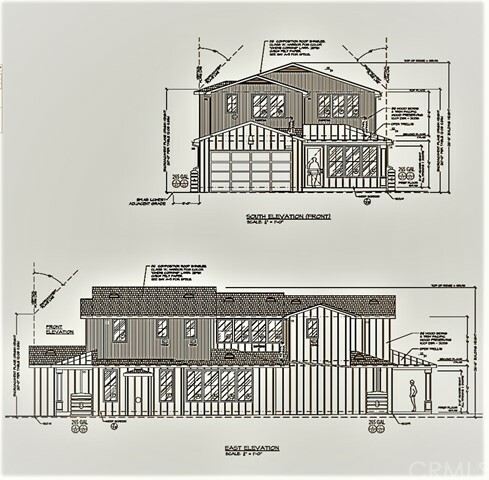 "This fabulous 2019 Brand Newly Built Traditional Cape Cod home captivates with spatial grandeur and top-tier finishes for prime comfort. The impressive foyer opens to a living room adjoining a study room. The open floor plan has an expansive living, dining and family room with a fireplace. The custom designed gourmet kitchen includes gorgeous cabinets with high-end stainless steel Wolf and Sub Zero appliances, wine cooler, and a vibrant white quartz countertop. This smart house has speakers all throughout the inside and outside of the house that you can control with the touch of your phone making it perfect for entertaining. Warm European Oak floors, high ceilings, all highlighted with recess led lighting and beautiful picture windows throughout the house gives a bright, cheerful and plenty of natural lighthouse. The Ultra Private Master Suite has a customized walk-in closet that leads to a luxurious spa styled bath highlighted by its dual sink vanities, a free-standing tub, and a seamless glass shower. Step out into a peaceful balcony for great relaxation. The second floor has four bedrooms and a separate laundry room along with additional second balcony great for families, guest, and friends. The living room/den opens up into a beautiful and colorful yard with a pool, jacuzzi, and built-in BBQ. The lavishing landscape has lots of flowers all along the front and back of the house and artificial grass. 2 Car garage, This sensational masterpiece located on a wonderful street"
"Smith & Williams Mid-Century Modern on Hillcrest Country Club Golf Course. This very special mid-century modern with breathtaking golf course view is located on the most prestigious street in Cheviot Hills. The AICHES residence, designed by Whitney Smith and Wayne Williams (Smith & Williams Architects) and built in 1953, features post and beam construction and other architectural details typical of the modernist architects of the mid-century. Not apparent from the street, walls of glass and multiple outdoor seating areas meld the indoors with the outdoors and infuse the open floor-plan with light. 4 bedrooms. 3 bathrooms. Living room with fireplace opens to a private garden and koi pond. Family/Dining room overlooks the pool, beautifully landscaped yard, and golf course, with views of the hills beyond. Architectural enthusiasts will relish the opportunity to own and personalize this historical home. A mini-estate strategically positioned to maximize views and verdant seclusion." "Magnificent 2016, 3 level custom built luxury in Cheviot Hills. This home offers 4 bedrooms and 3.5 baths with an expansive open floor plan perfect for entertaining. Abundant natural light shines through the large windows and doors throughout the home highlighting the beautiful architecture, dark and rich wood flooring, high ceilings and custom finishes. The chef's style kitchen includes wolf stainless steel appliances, marble counter tops, designer style back plash and center island overlooking the living, family rooms and wet bar with wine chiller. Retreat to the luxurious master suite featuring a walk-in closet, master bath with dual vanity, shower and soaking tub. Venture downstairs to the lowest level to view an additional bonus room, a perfect space for a home office or private gym. Walking distance to shopping, restaurants, parks, schools, Griffin Club, train and much more!" "Gorgeous two-story Traditional perfectly located in coveted 'Old Cheviot'. Boasting 3 spacious bedrooms and 2 bathrooms, this meticulously maintained home has been lovingly restored, exuding old world charm and character. Featuring a spacious living room with elegant wood burning fireplace, formal dining room and warm wood paneled den. A pristine tiled kitchen with abundant cabinetry and sun-filled breakfast area looks out to the lush gardens. The outdoor living space provides an expansive deck, perfect for dining alfresco. Enchanting, lush grounds with rolling green lawn and brick dining terraces, perfect for enjoying warm spring nights. This home is a rare find. Not to be missed!" 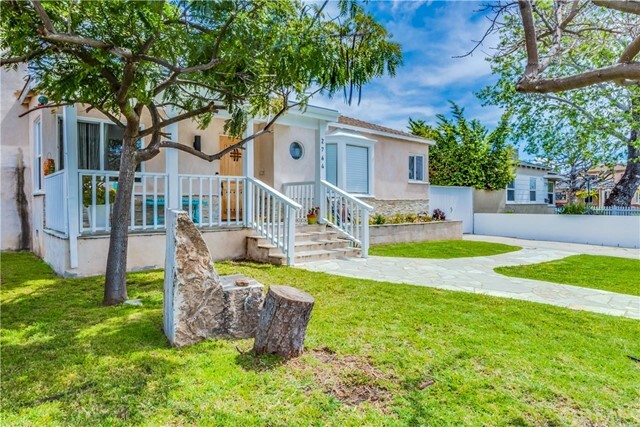 "A classic one-story Ranch style home on an oversized flat lot, this 4 bedroom/3 bath in the Country Club Estate section of Cheviot Hills is brimming with attractive features. A combination of brick, hardwood and stone floors below, exposed beams above and a multitude of built ins and living spaces in between, the home is warm, welcoming and has been updated to accommodate the needs of a modern family. The kitchen provides new stainless steel appliances, custom wood- faced cabinetry and a breakfast nook that overlooks the beautiful backyard. The cozy den includes a fireplace and bar. Off the kitchen are private guest quarters with its own entrance and bathroom. The master bedroom in particular is extremely spacious and includes an attached bathroom as well as the added bonus of French Doors that open to the backyard allowing for a sumptuous indoor/outdoor flow. Outdoors you'll find grassy yard, beautiful swimming pool and pergola covered patio. Award winning Castle Heights Elementary." "Exceptional, updated one-story home with light, open kitchen, dining and living area. Master suite has spacious closet & spa style bath. Two of the additional bedrooms can also be used as flex space- office or playroom. The great room with pitched ceiling flows to farmhouse style outdoor living room, outdoor BBQ & kitchen. Generous storage space throughout. Expansive grass yard has room for pool." "Westside Craftsman compound + legal guest house (ADU) in superb location. Completely remodeled & upgraded w/attention to detail! Main house: LR, DR, kitchen, service, guest bedroom #1; 1 full bath; guest bedroom #2 + half bath; huge master suite (built 2012) + full bath, abundant closets, and separate private entrance. HVAC, maple hardwood floors, upgraded plumbing, windows, newer roof & home water filtration system. Legal & rentable 1+1 guest house (renovated 2018). Garage 12.9x24' (built 2000). Three blocks from new Google headquarters (former Westside Pavilion). Westwood Charter School (to verify). Fully landscaped. Well maintained, move-in condition! (Main house is 1,546 sq ft; guest house is 475 sq ft which totals 2,021 sq ft approximately.)" "Excellent Value at $706/sqft! 2,171 sqft main house and 504 sqft guesthouse (per appraisal). Guesthouse is permitted. 3 bedroom/2 bath Main House was custom-built in '96 according to Feng Shui. Great flow and energy throughout. Living room has 2-story high ceiling, abundance of natural light and air. Kitchen features brand new top-of-the-line Viking fridge, cooking range, has ample cabinet and counter space. Loft-style family room upstairs for entertainment or study. Master Bedroom has walk-in closet, en-suite bathroom with double sinks. Tankless water heater, water softener hookup, additional laundry hookup, covered patio. Highly-sought-after PERMITTED Guesthouse with 1 bedroom/1 bath offers great privacy for guests or use as office/play space. Back Yard with drought-tolerant landscape with new drip system. Many fruit trees. Ample parking spaces on the property. Movie theatre, cafes and restaurants, markets, freeways closeby. Outstanding school district. MUST SEE." "Sun-filled Spanish 3 bed/2.5 ba located mid-block on premier Street w/ treetop & golf course views. Inviting front paver tiled patio opens to entry & step-downliving room w/ parque wood floors, coved ceiling, fireplace & 2 lrg picture windows opening to front & back of property. Dining rm w/ skylight off kitchen w/ s/s appliances including gas range/oven & pantry closet opens to spacious family room w/ vaulted ceiling. Large laundry/utility room, great for extra storage or exercise area. Spacious master suite w/ balcony and golf course views. Updated master bthrm w/ dual basins, separate spa tub & shower. 2nd full bathroom also w/ separate bath/shower. Features include hardwood floors in all bdrms, central ac/heat, oversized storage rm under master suite. Ideal location, quick stroll to Rancho Park Golf Course/Range & Cheviot Hills Rec Center & Park, and Pico Blvd. retail & restaurants." "Fantastic lot and location with unobstructed views of Rancho Park Golf Course in the highly desirable neighborhood of Cheviot Hills. This property presents the opportunity to build new construction with plans at the City available or to purchase and the seller/builder will develop for you. You will be dealing with absolute professionals on this project with a very impressive resume of custom homes built, including several built right here in Cheviot Hills. Reference 2463 Patricia and 3118 Patricia as examples of the craftsmanship you can anticipate for your dream home overlooking the golf course." "Sitting on a grassy knoll, this wonderful, newly painted, bright updated house is a must see. The spacious living room with a wood burning fireplace lets the light in with its large picture window. The adjoining sunny formal dining room, which can easily seat 6, also has a large picture window. Both rooms, 3 bedrooms and the hallway have hardwood floors. A full updated bath is shared by the 3 bedrooms. and a 1/2 guest bath is by the kitchen. The newly carpeted master suite has its own full updated bath and a sitting area with outside access, which can be used as an office. The updated kitchen has a tile floor with a greenhouse window over the kitchen sink & connects to a breakfast area that has a built-in desk. A very private backyard has a small yard behind the garage which can be made into a vegetable or flower garden. Large lot. Must see to appreciate. 24-hr notice & agent must accompany." "Great opportunity for an investor to either rebuild, or tear down and build new. This property is located on a great street in a wonderful neighborhood among multi-million dollar homes, and is ready for a new owner. Buyer is to verify square footage, and research all matters regarding permits, permitted square footage, and buyers are to satisfy themselves as to all aspects, and characteristics of the subject property, as the seller makes no warranty implied or otherwise as to the accuracy of the information contained herein. Unlikely to qualify for all forms of financing, qualified buyers are required. Agents see private remarks."